Delivers million packets per second. 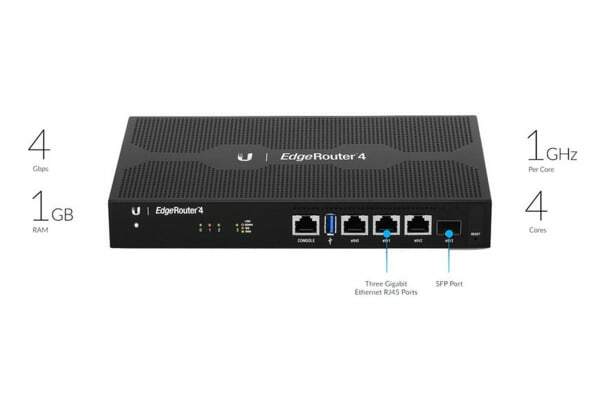 The Ubiquiti EdgeRouter 4 with 1 SPF port delivers 3.4 million packets per second routing performance in a compact and cost-effective unit. 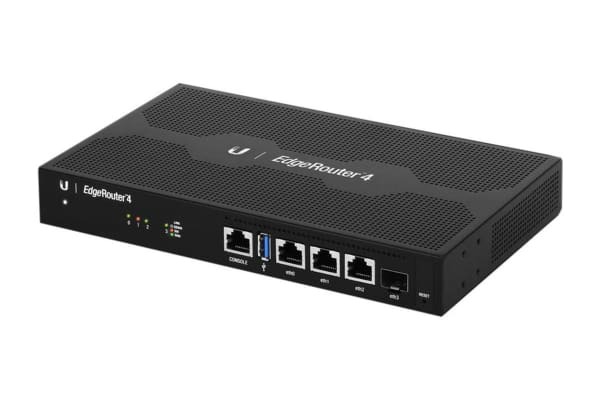 The EdgeRouter 4 offers next-generation price/performance value: up to 3.4 million packets per second processing with a line rate of up to 4Gbps. The EdgeRouter 4 can be rack-mounted with the use of the EdgeRouter Rack Mount Kit. The EdgeRouter 4 is supported and managed by UNMS (Ubiquiti Network Management System), a comprehensive controller with an intuitive UI. 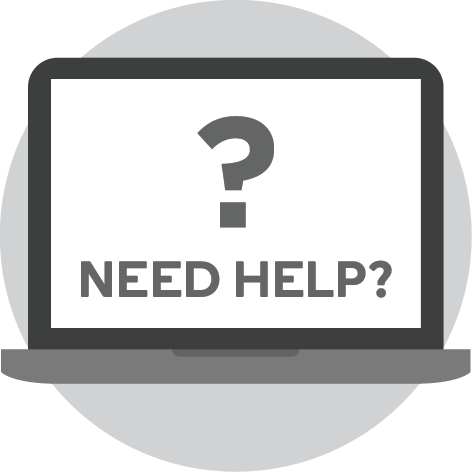 A single control plane manages registered EdgeMAX devices across multiple sites.